This collection of essays consists of three sections which describe the development of Hebrew literature since the establishment of the State of Israel, and examine the relationship between the literature of the Israeli Period, the period of the renewal of Jewish sovereignty in the Land of Israel, and the heritage of the Hebrew literature throughout the generations. In the first section, the author suggests a distinction between four literary guards: “The Generation in the Land” – the authors of the 1940s and 1950s, “The New Wave” – the authors of the 1960s, “The Disillusioned Wave” – the authors of the 1970s and “The New Voices” – the authors of the 1980s and the 1990s. All of the guards began their activity during the 20th century and are all still functioning in the early 21st century. Similarly, he suggests terminology to classify the topics in the period’s literature: Topics of the Israeli condition, the Jewish condition and the human condition, through which the writers related to the sovereignty experience, the aspiration to normalcy, the search for a new definition of self-identity and the central experiences in present-day Jewish existence: the Holocaust, the recurring wars imposed by the Arab countries on the State of Israel, the ingathering of the Jewish exile from 70 different cultures and their fusion into the Israeli culture, and more. At the conclusion of this section, the author assesses the accomplishments and shortcomings of Israeli literature during the first 50 years. In the second section, the author examines the Hebrew author’s ambivalence towards Judaism during the years of the State’s existence: Its values, myths and cultural symbols (ideas, images and idioms). Though Hebrew fiction has been secular for 250 years, the present-day authors have inherited from their predecessors the task of completing a complicated mission: To take a stand regarding the place of Judaism and the intellectual resources inspired by Judaism throughout the generations of secular culture. The author demonstrates through the works of Yizhar Smilansky (S. Yizhar) and Meir Shalev the trend which expresses reservations regarding the integration of Judaism as a culture within Israeli secularism, with the objective being the creation of an independent Israeli identity. Opposite the trend to sever ties with Judaism as a culture, he aligns the works of those authors who attempted to integrate the culture inspired by Judaism into the fledgling national creation, as an inspiration for Israelism: Aharon Meged, Binyamin Tammuz, Aharon Appelfeld and Dan Tzalka. The two conflicting trends represented by the authors from the two groups reflect different preferences. The former cultivate the Israeli experience in order to raise the Israeli as a nativist individual and a place-centered Jew, while the latter believe that the Jewish experience should be cultivated in order to raise the Israeli as a descendant of the culture of previous generations, a time-centered Jew. 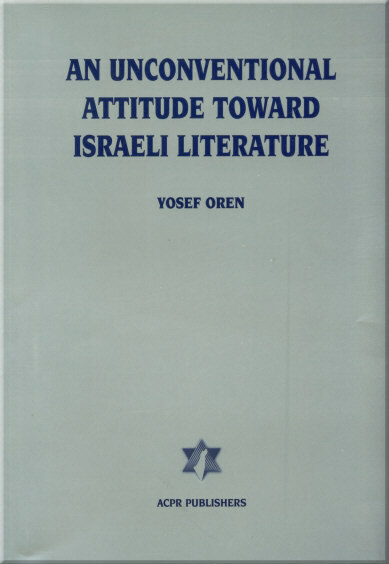 In the third section, the author examines Israeli literature’s attitude towards Zionism as an ideology and as a national movement. The description reveals that specifically since the State’s establishment, the criticism of Zionism has gradually increased, influenced by moral distress engendered by the various stages of the establishment and reinforcement of renewed Jewish sovereignty over its homeland in Zion. S. Yizhar’s work expresses the stage of disappointment, a legitimate criticism of the weaknesses which became apparent in Zionism during its metamorphosis from theory to practice. A.B. Yehoshua’s work expresses the de-legitimization of Zionism and the aspiration to exchange its content for a different updated content, however, under the same name. Meir Shalev’s work already expresses an anti-Zionist and post-Zionist position. The position paper explains the dangers which this negative development poses to Zionism, one which has been adopted by some of the most senior Israeli authors. For the complete text (in English), click here.